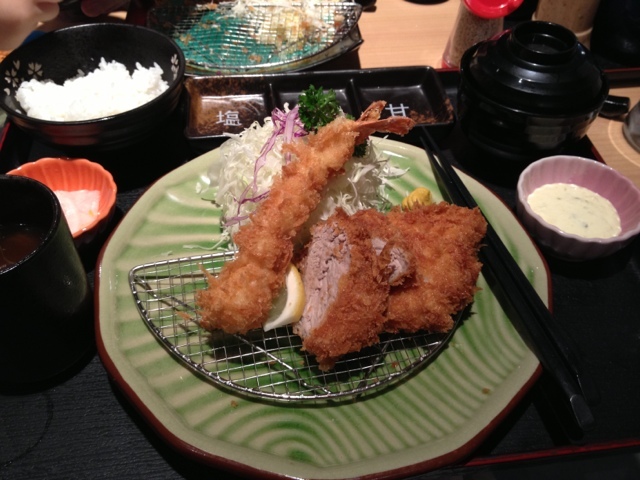 Expatriate in KL: Tonkatsu Battle in KL, which is best? Tweet After my Manila trip, I kept thinking of that Japanese tonkatsu place my friend brought us, which is called Yabu (Magnolia Robinsons mall). I was elated when I noticed the ad of Tonkatsu at Pavilion mall and decided to check it out. The place was not fully packed during CNY break, though still had patrons, mix of Chinese and Japanese folks. The meal was great and my tonkatsu craving was met. Overall I would say 4 out of 5 stars. I wasn't satisfied in stopping there with my tonkatsu search since I saw some blogs writing about the newest Tonkatsu place in town called Tonkatsu by Ma Maison. Seems it is a branch from Singapore and I had to check it out. Surprisingly for CNY, many restaurants were open (to our delight). 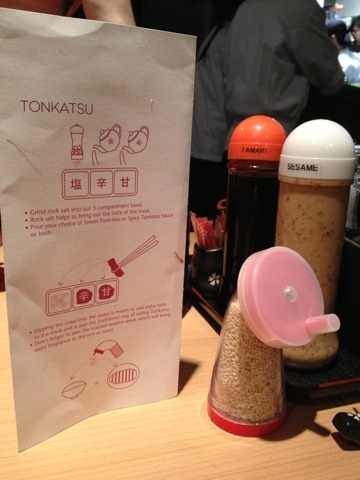 When we arrived for lunch at Tonkatsu by Ma Maison (at Isetan 1 Utama), we saw it was almost full of Japanese people. 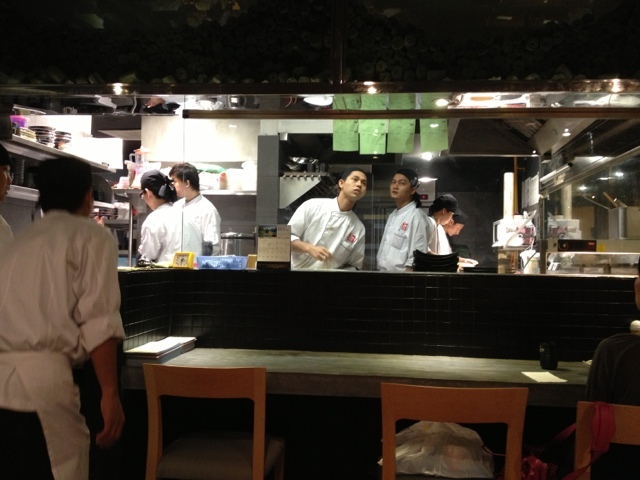 During our meal there was non-stop flow of new customers, a mix of Japanese and Chinese. But mostly Japanese folks. The pork and crab were superb. I even found their portion larger than the one at Pavilion. 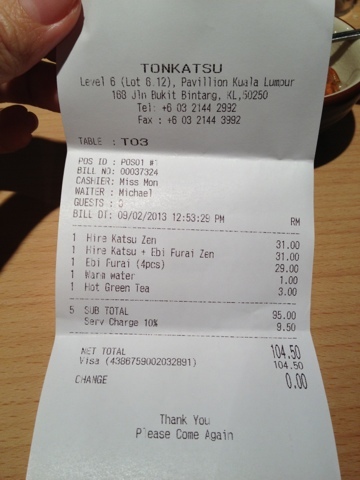 Staff was friendly and they have free green tea and water. I rate the one in 1 Utama 5 out of 5 stars. Definitely worth the money and visit for some good tonkatsu! 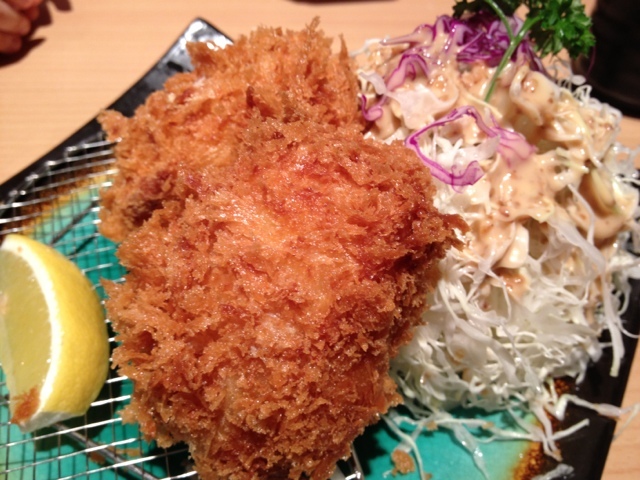 All photos are pics of Ma Maison Tonkatsu... 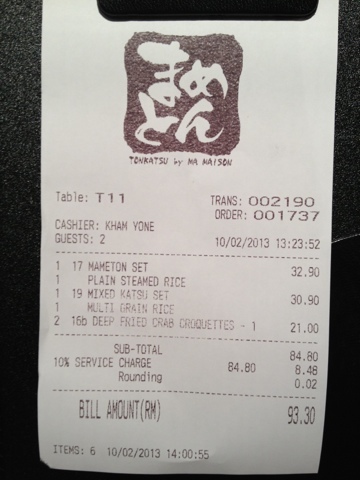 Except for the bill of Tonkatsu by Wa Kitchen. I took a pic to compare the prices. Definitely Ma Maison wins hands down. Food was better too, with option of brown rice which my hubby and daughter loved. 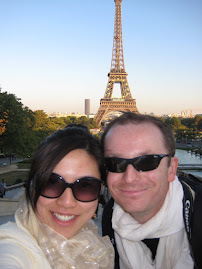 Hello..:)my name is Eli and i am an avid reader of your blog. i love eating and always believe good food+good ambience makes happy people..
i have tried both tonkatsu places and have also found it to be nice. i would like to recommend another place though. its called 'Goku Raku Ramen'. there's two outlets. one in Mid Valley Megamall and the other in Paradigm Mall. for me and my husband, the broth of the ramen is thicker and stronger in taste than tonkatsu and we still find this place better. Thanks for dropping by my blog and for sharing this info. Will surely try it out!